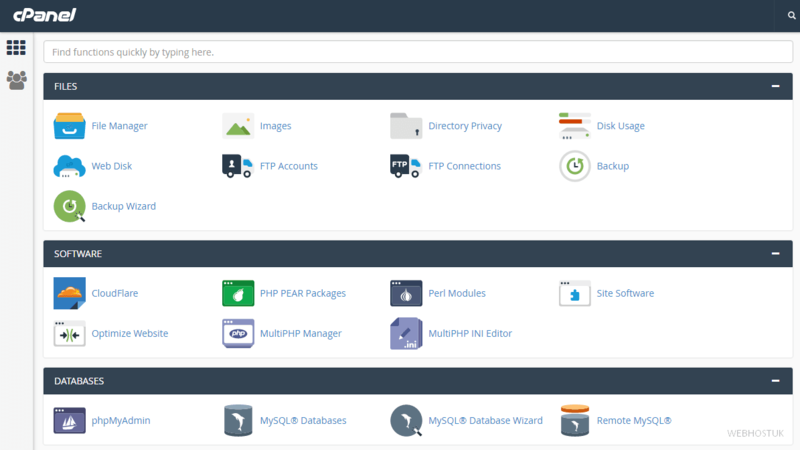 cPanel on Linux Server is a web based control panel tool which helps to manage web hosting account through a web interface instead of a console. With cPanel we are able to accomplish our tasks faster and even non-professionals can easily manage websites via cPanel. To create email accounts, forwarders, and autoresponders as well as account and user-level filtering to manage email. Fight spam with BoxTrapper, Apache SpamAssassin, and email authentication. Then, use mailing lists to broadcast your message. Allow email account suspension and password verification. Yo can setup subdomains, addon domains, domains Alias (parked ), and redirects. Identify your site with Simple DNS Zone Editor and Advanced DNS Zone Editor. Take advantage of third-party software for blogs, eCommerce, bulletin boards, guest books and more to build a robust, dynamic site. Allows you to run a certain command at times set by the job. For example, you could set a cron job to delete temporary files every week so that your disk space is not being used up by those files. cPanel empower you and offer the ability to administer every facet of their website using simple, point-and-click software. Shared web hosting is one of the most affordable and economical options to host your website. If you would like to use cPanel to manage your Website, Our Linux cPanel web hosting We offers Professional Web Hosting with a wide range of plans to choose from Linux cPanel hosting, designed to deliver extremely fast web hosting for your website, ensuring reliability, security and quality at the most affordable price. Backup with cPanel expert support team round the clock and free one-click installation scripts for all popular application software’s such as WordPress, Joomla, Drupal, Magento, b2evolution etc, Free website file and database transfer. 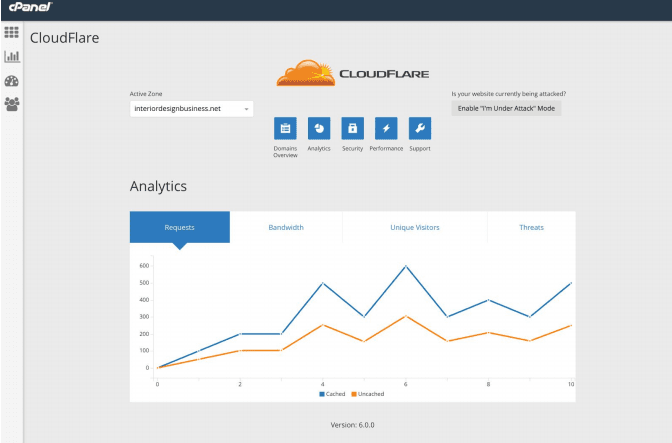 After the CloudFlare plugin is installed, you will see a CloudFlare icon in cPanel. If they already have a CloudFlare direct account, sign-in. If not, click on Sign up. Provision Domain with CNAME Setup​ green button. For subdomains, click the grey cloud icon and toggle to orange. This means traffic will flow through CloudFlare for these subdomains. 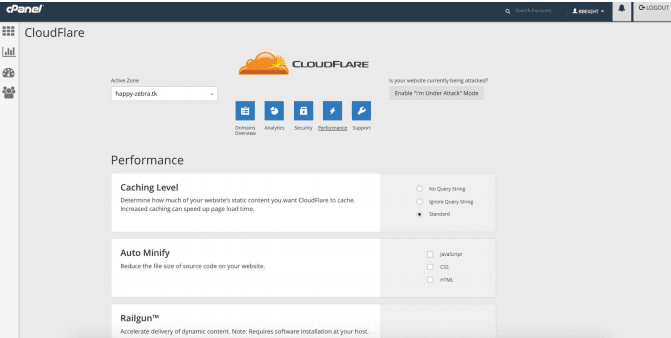 Users can now control more CloudFlare security settings right from cPanel. In addition to selecting the basic security level of your site from Essentially Off, Low, Medium, or High, you can configure the Challenge Passage, which specifies how long a visitor is allowed access to your website after completing a challenge. You can enable Browser Integrity Check which evaluates HTTP headers from your visitors browser for threats, if a threat is found a block page will be delivered. In addition, users can select ‘I’m under attack mode’ when experiencing a DDoS attack on Layer 7. 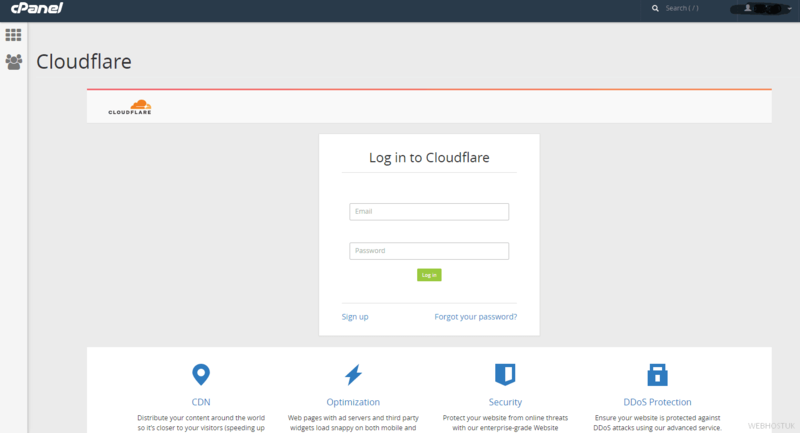 To access additional settings and upgrade from “Free” to “Pro”, customers need to log in to their cloudflare.com account. 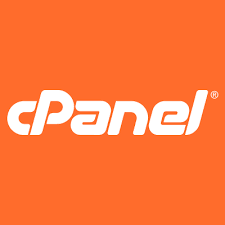 cPanel continues to surprise the industry-releasing one new feature here and there, making sure that its clients get the most out of their investments. With its newest innovation, cPanel is set to enhance the client’s web hosting experience. The launch of EasyApache 4 (EA 4) brings various improvements in installation, update, and other features that are important for the client. EasyApache 4 is a major revamp of how cPanel and WHM ships and maintains the Apache and PHP distribution. EasyApache 4 represents a total overhaul of how cPanel & WHM ships and maintains our Apache and PHP distribution. Simply explained, EasyApache is the software that installs, configures, updates, and validates your web server, PHP, and other components of your web server. Binaries are cost-efficient improvements that save time and monetary resources for site owners, server owners, and developers. Rather than compile binaries from source, we build RPM packages with binaries that you can easily install via yum. This allows for quicker, automatic updates of packages. The system forks any custom packages from the Red Hat® specification files, but contain the latest version. Binary packages also allow Apache and PHP to automatically update. Binary Packages allow for quicker updates, installations, and the ability to spin down and spin up different web stacks and configurations quickly. This reduces the cost for site owners and server owners. These binaries reduce the time it takes for updates and installs to a few minutes. This also allows developers to quickly spin up and spin down different configurations. EasyApache 4 uses the Software Collections Library (SCL) for PHP packages. The use of SCLs enables the installation of multiple, concurrent version of PHP on the file system. An SCL is an alternate path inside the /opt file that contains the full file system that various software needs. When you enable an SCL, it adds the path within that environment to the system. Commands that do not specify a path and scripts that use the /usr/bin/env file to determine their path can then use this path to find the appropriate version of the software. The additional paths allow EasyApache 4 to function quicker and more efficiently. The additional paths allow more effective storage of data, especially with backups and recovery. /usr/bin/httpd/ This directory contains the actual Apache executable, binary file, and webserver. /var/log/apache2/ This directory contains all the logs for the apache2 file as well as all access logs. /etc/apache2/ This directory contains the configuration directory for Apache and contains all directories for Apache includes, modules, and configuration files. This directory does not contain log files. Note: This directory uses the symlink to the usr/lib64/apache24/ directory. /usr/lib64/apache2/modules/ This directory contains all of the dynamic modules for Apache. /opt/cpanel/ea-php*/ This SCL directory contains all of Apache’s binary files. /etc/apache2/logs/access_log/ This file contains HTTP requests that the server received and that did not go to a domain. /etc/apache2/logs/domlogs/ This directory contains a log of HTTP requests that the system routed to a domain. /etc/apache2/logs/error_log/ This file contains error information. /var/www/html/ This directory contains the document root for the server. It contains default pages that users can see. /etc/apache2/logs/ This directory contains an alias to the /var/log/apache2/ directory. /etc/apache2/modules/ This directory contains an alias to the /usr/lib64/apache2/modules/ directory. EasyApache 4 supports multiple versions of PHP. Multiple PHP versions allow you to assign different PHP versions to each of your domains. Coupled with automatic upgrades, this ensures that your PHP applications run on the most up-to-date, secured PHP versions. EasyApache 4 removed OptMods and no longer supports them. However, in addition to the new RPM actions that EasyApache 4 can execute from its specification file, we created yum-plugin-universal hooks. These new hooks allow for executable actions based on the package name they operate in. For example, if you run a script on an ea-* package, if any updated packages exist in the ea4 namespace, the system executes these scripts. If you are running a cPanel Server, your priority administration task should be the security. Some tricks about Server Security can be read on this blog. If you are running a Web Hosting business you should provide to your costumers the high security level. A basic security need is to keep cPanel last stable version. The below instructions are intended specifically for checking your version of cPanel or WHM via the command line or the WHM dashboard. I parked yourdomain.com which redirects automatically to yourdomain.org. I deleted the domain from Parked Domains panel, and added it back via the Addon Domains panel. Then the error “Already Exists”, even though it was not listed in the Addon Domains nor was it listed in the Parked Domains. This is due to the domain name existing anywhere in the cPanel configuration and need to get removed / deleted. If the zone file exists, it will show the A record of yourdomain.com. If it does, you need to remove prior adding the Addon domain. Now you have removed DNS zone and help you add the addon or parked domain. Log into the server where the customer is seeing problems adding the domain and confirm that the domain does not exist on the server. Edit file/s that are found and remove domain name the customer is trying to add. 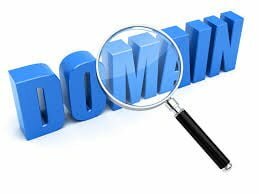 You also may need to remove the all the files related to domain name. Rebuild Apache to make sure all entires of bad domain removed. This should have all entries left behind from when this domain name was removed in the past no longer conflict, when you try to add the domain again.